Directions: Hwy 85 North to Airport Road turn at the new Publix. Right on Airport to Poverty Creek Road. Follow Poverty Creek for approx. 3 miles to Painter Branch road on your left. Remarks: REO on a large lot, south of I-10. Fenced .36 of an acre back yard + shed on the property. Cathedral ceiling and fireplace in the Living Room. Split bedroom plan with a walk-in closet and cathedral ceiling in the Master Bedroom. Dining room accented by a tray ceiling.Conveniently located south end of town close to all shopping, military bases and schools. Buyer to verify all information they deem important. Directions: Hwy 85 N, Right onto Hwy 90 East,left on Hibiscus. Hibiscus turns into colt which is straight. Follow around curve to Stallion. Take right on stallion. Home on your right. 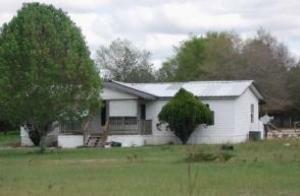 Remarks: 10 acres with Mobile home and outbuildings for farming or great workshop space for your hobbies. 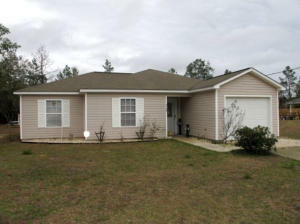 Home has 3 bedrooms and 2 baths with kitchen open to the living room. Covered back porch and covered front deck. Directions: North of Crestview on highway 85 approx 3 miles and turn left onto Adams rd( Beside the Auburn Pentecostal church) Follow Adams for 1/4 mile and right on Barnes then 1/4 miles down Barnes and property is on the right side. Remarks: REO ranch style home close to town on one acre and on a black top road. 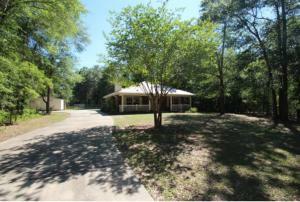 This level corner lot has mature large trees and good curb appeal. The home is all brick with a 2 car side load garage. The garage also has a small enclosed workshop within that is also heated and cooled. Recently updated HVAC system in 2010. The back yard is partially fenced. Inside, the great room has country tongue and groove wood features enhancing the wood burning fireplace that is surrounded by stone. The 2 additional bedrooms are serviced by a ”Jack and Jill” bathroom. There is also a 3rd half bathroom off of the garage. A split bedroom floor plan.The master bathroom has a Jacuzzi tub and separate walk-in shower. There are double vanities and walk-in closet as well. Come take a look today. Directions: From highway 85, turn on John King Road continue to Primrose turn left, turn right on Lost Creek RD then right on Choctaw. 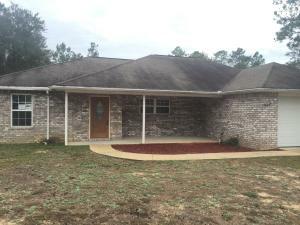 Remarks: REO This all brick home with one car garage is located South of I-10 for an easy and quick commute to Eglin and Duke, beaches and shopping. Enjoy the winter nights and holidays by the fireplace. 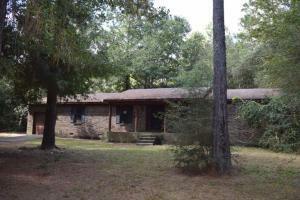 Close to town but on a cul-de-sac with the lot surrounded by heavy woods and makes the property feel very secluded for the best of both worlds. Directions: From I-10 exit in Mossy Head turn left onto 90 West,in aprx 3.7 mi turn right onto Hibiscus Ave.then continue onto Colt Dr, house is on the right. 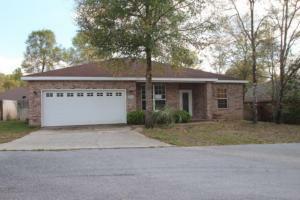 Remarks: Crestview Mossy Head area home on huge lot with wood laminate and tile floors and modern colors. There is a wall of movable storage in the garage. The half-acre lot is flat and cleared. There is plenty of room to set up your shop or play with pets. Wired for security system. 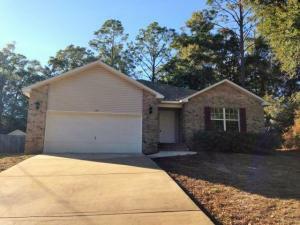 What a find within easy commute to Eglin Air Force Base, 35 minutes to the Destin beaches on the new Mid-Bay bypass, and nearby Blackstone Golf Course! Directions: I-10 East, Exit 56 to Crestview; Left on Ferdon Blvd, Right on Airport Rd, Right on Horne Hollow, 1st Left on Willow Ln. Home will be on the left. Remarks: Fannie Mae REO in Hidden Glen subdivision 3 bedrooms, 2 baths. 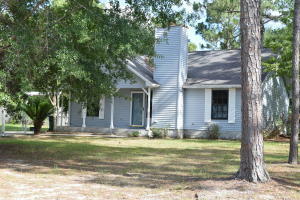 House features a lovely bay window in living room; spacious, open floorplan, and a great sunroom in rear of home for relaxing and enjoying the Florida weather! 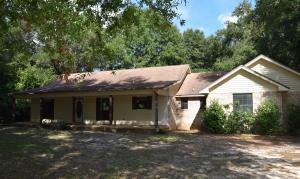 Home has a 1-car garage, and sits on over 1/3 acre lot. Directions: HWY 85 N TO STILLWELL ROAD(JUST PAST GOODWILL) – RIGHT ON STILLWELL. CROSS VALLEY ROAD. HOME WILL BE THE CULDESAC ON THE RIGHT (3RD FROM THE SCHOOL)…JUST AFTER TRAILWOOD LANE AND RIGHT BEFORE THE SCHOOL. Remarks: Great REO just listed and in very good shape. Really lovely home with large room. Gourmet kitchen has granite countertops, upgraded maple kitchen cabinets, breakfast bar and all stainless steel appliances. Carpet is in good condition and there is tile flooring in all wet areas as well as in the roomy formal dining room with lovely chandelier. Oversized great room with French door to backyard. Master suite is large and master bath has 2 walk-in closets. Master bath also features a soaking tub plus a separate shower. Master bedroom has treyed ceiling and there are 10 ft.ceilings throughout the home. Leaded glass front door and side light. Nice covered front porch with room for seating. Privacy fenced backyard and sprinkler system. Directions: North on HWY 85, Right on HWY 90, Left on Brackin. Home is the second on the left. Remarks: REO, IMMACULATE! 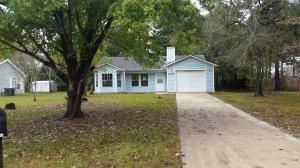 3 bedroom, 2 bath home located in central Crestview. Built in 2006. Large lot with tons of room to make it your own. Kitchen features solid surface counter tops and maple cabinets. Also has 10′ ceilings in the living room and 9′ trayed ceiling in the master bedroom. NEW PAINT, NEW CARPET, new toilets installed, new garage door. Home looks brand new. Has passed roof, HVAC, and WDO inspection. Call today to schedule your showing.